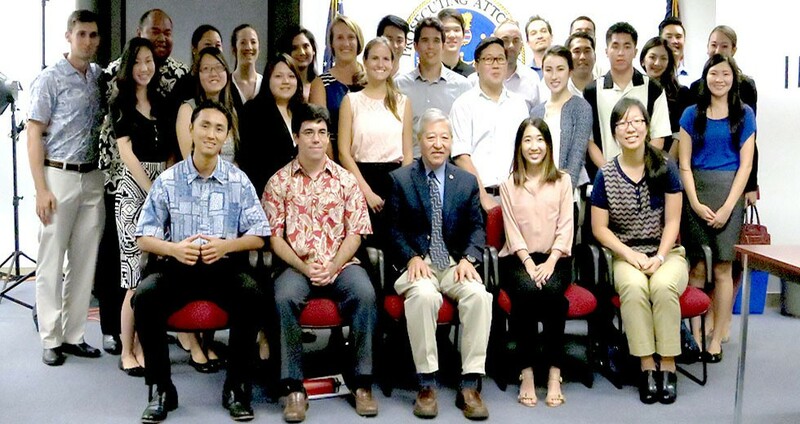 First-year students at the University of Hawaii’s William S. Richardson School of Law were hosted by Prosecuting Attorney Keith M. Kaneshiro on February 19 during the group’s tour of the courts, government legal offices and private law firms. Kaneshiro explained the workings of the prosecutor’s office, including how cases are charged and the office’s priorities, and told the students that there was a great need for lawyers dedicated to public service. The group was led by Dale Lee, the law school’s Director of Professional Development.